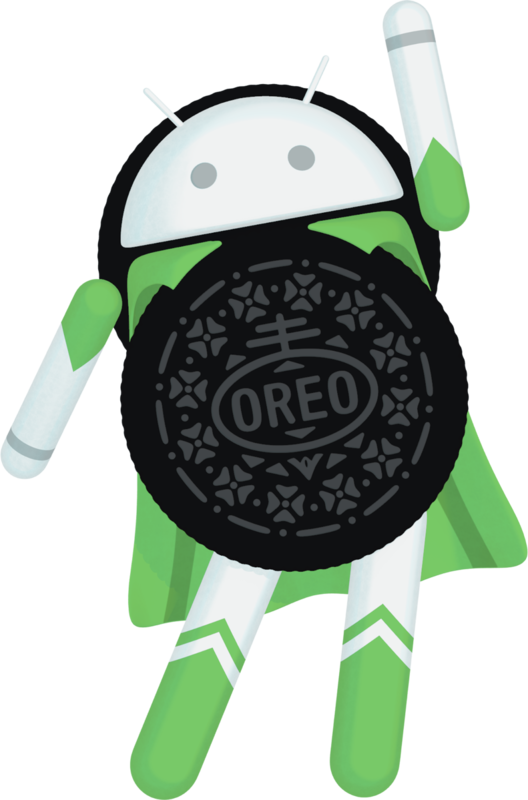 Android Oreo is stuffed full of security enhancements. Over the past few months, we've covered how we've improved the security of the Android platform and its applications: from making it safer to get apps, dropping insecure network protocols, providing more user control over identifiers, hardening the kernel, making Android easier to update, all the way to doubling the Android Security Rewards payouts. Now that Oreo is out the door, let's take a look at all the goodness inside. Android already supports Verified Boot, which is designed to prevent devices from booting up with software that has been tampered with. In Android Oreo, we added a reference implementation for Verified Boot running with Project Treble, called Android Verified Boot 2.0 (AVB). AVB has a couple of cool features to make updates easier and more secure, such as a common footer format and rollback protection. Rollback protection is designed to prevent a device to boot if downgraded to an older OS version, which could be vulnerable to an exploit. To do this, the devices save the OS version using either special hardware or by having the Trusted Execution Environment (TEE) sign the data. Pixel 2 and Pixel 2 XL come with this protection and we recommend all device manufacturers add this feature to their new devices. Oreo also includes the new OEM Lock Hardware Abstraction Layer (HAL) that gives device manufacturers more flexibility for how they protect whether a device is locked, unlocked, or unlockable. For example, the new Pixel phones use this HAL to pass commands to the bootloader. The bootloader analyzes these commands the next time the device boots and determines if changes to the locks, which are securely stored in Replay Protected Memory Block (RPMB), should happen. If your device is stolen, these safeguards are designed to prevent your device from being reset and to keep your data secure. This new HAL even supports moving the lock state to dedicated hardware. Speaking of hardware, we've invested support in tamper-resistant hardware, such as the security module found in every Pixel 2 and Pixel 2 XL. This physical chip prevents many software and hardware attacks and is also resistant to physical penetration attacks. The security module prevents deriving the encryption key without the device's passcode and limits the rate of unlock attempts, which makes many attacks infeasible due to time restrictions. While the new Pixel devices have the special security module, all new GMS devices shipping with Android Oreo are required to implement key attestation. This provides a mechanism for strongly attesting IDs such as hardware identifiers. We added new features for enterprise-managed devices as well. In work profiles, encryption keys are now ejected from RAM when the profile is off or when your company's admin remotely locks the profile. This helps secure enterprise data at rest. As part of Project Treble, the Android framework was re-architected to make updates easier and less costly for device manufacturers. This separation of platform and vendor-code was also designed to improve security. Following the principle of least privilege, these HALs run in their own sandbox and only have access to the drivers and permissions that are absolutely necessary. Continuing with the media stack hardening in Android Nougat, most direct hardware access has been removed from the media frameworks in Oreo resulting in better isolation. Furthermore, we've enabled Control Flow Integrity (CFI) across all media components. Most vulnerabilities today are exploited by subverting the normal control flow of an application, instead changing them to perform arbitrary malicious activities with all the privileges of the exploited application. CFI is a robust security mechanism that disallows arbitrary changes to the original control flow graph of a compiled binary, making it significantly harder to perform such attacks. Seccomp filtering: makes some unused syscalls unavailable to apps so that they can't be exploited by potentially harmful apps. Hardened usercopy: A recent survey of security bugs on Android revealed that invalid or missing bounds checking was seen in approximately 45% of kernel vulnerabilities. We've backported a bounds checking feature to Android kernels 3.18 and above, which makes exploitation harder while also helping developers spot issues and fix bugs in their code. Privileged Access Never (PAN) emulation: Also backported to 3.18 kernels and above, this feature prohibits the kernel from accessing user space directly and ensures developers utilize the hardened functions to access user space. Kernel Address Space Layout Randomization (KASLR): Although Android has supported userspace Address Space Layout Randomization (ASLR) for years, we've backported KASLR to help mitigate vulnerabilities on Android kernels 4.4 and newer. KASLR works by randomizing the location where kernel code is loaded on each boot, making code reuse attacks probabilistic and therefore more difficult to carry out, especially remotely. Android Instant Apps run in a restricted sandbox which limits permissions and capabilities such as reading the on-device app list or transmitting cleartext traffic. Although introduced during the Android Oreo release, Instant Apps supports devices running Android Lollipop and later. In order to handle untrusted content more safely, we've isolated WebView by splitting the rendering engine into a separate process and running it within an isolated sandbox that restricts its resources. WebView also supports Safe Browsing to protect against potentially dangerous sites. Moving the static Android ID and Widevine values to an app-specific value, which helps limit the use of device-scoped non-resettable IDs. In accordance with IETF RFC 7844 anonymity profile, net.hostname is now empty and the DHCP client no longer sends a hostname. For apps that require a device ID, we've built a Build.getSerial() API and protected it behind a permission. Alongside security researchers1, we designed a robust MAC address randomization for Wi-Fi scan traffic in various chipsets firmware. Android Oreo brings in all of these improvements, and many more. As always, we appreciate feedback and welcome suggestions for how we can improve Android. Contact us at security@android.com. In its continuous effort to improve user experience, the Android platform has introduced strict limitations on background services starting in API level 26. Basically, unless your app is running in the foreground, the system will stop all of your app's background services within minutes. As a result of these restrictions on background services, JobScheduler jobs have become the de facto solution for performing background tasks. For people familiar with services, JobScheduler is generally straightforward to use: except in a few cases, one of which we shall explore presently. Imagine you are building an Android TV app. Since channels are very important to TV Apps, your app should be able to perform at least five different background operations on channels: publish a channel, add programs to a channel, send logs about a channel to your remote server, update a channel's metadata, and delete a channel. Prior to Android 8.0 (Oreo) each of these five operations could be implemented within background services. Starting in API 26, however, you must be judicious in deciding which should be plain old background Services and which should be JobServices. In the case of a TV app, of the five operations mentioned above, only channel publication can be a plain old background service. For some context, channel publication involves three steps: first the user clicks on a button to start the process; second the app starts a background operation to create and submit the publication; and third, the user gets a UI to confirm subscription. So as you can see, publishing channels requires user interactions and therefore a visible Activity. Hence, ChannelPublisherService could be an IntentService that handles the background portion. The reason you should not use a JobService here is because JobService will introduce a delay in execution, whereas user interaction usually requires immediate response from your app. For the other four operations, however, you should use JobServices; that's because all of them may execute while your app is in the background. So respectively, you should have ChannelProgramsJobService, ChannelLoggerJobService, ChannelMetadataJobService, and ChannelDeletionJobService. based on a resource ID. What the description is telling you is that even though you are using 4 different Java objects (i.e. -JobServices), you still cannot use the same channelId as their jobIds. You don't get credit for class-level namespace. This indeed is a real problem. You need a stable and scalable way to relate a channelId to its set of jobIds. The last thing you want is to have different channels overwriting each other's operations because of jobId collisions. Were jobId of type String instead of Integer, the solution would be easy: jobId= "ChannelPrograms" + channelId for ChannelProgramsJobService, jobId= "ChannelLogs" + channelId for ChannelLoggerJobService, etc. But since jobId is an Integer and not a String, you have to devise a clever system for generating reusable jobIds for your jobs. And for that, you can use something like the following JobIdManager. JobIdManager is a class that you tweak according to your app's needs. For this present TV app, the basic idea is to use a single channelId over all jobs dealing with Channels. To expedite clarification: let's first look at the code for this sample JobIdManager class, and then we'll discuss. As you can see, JobIdManager simply combines a prefix with a channelId to get a jobId. This elegant simplicity, however, is just the tip of the iceberg. Let's consider the assumptions and caveats beneath. First insight: you must be able to coerce channelId into a Short, so that when you combine channelId with a prefix you still end up with a valid Java Integer. Now of course, strictly speaking, it does not have to be a Short. As long as your prefix and channelId combine into a non-overflowing Integer, it will work. But margin is essential to sound engineering. So unless you truly have no choice, go with a Short coercion. One way you can do this in practice, for objects with large IDs on your remote server, is to define a key in your local database or content provider and use that key to generate your jobIds. Second insight: your entire app ought to have only one JobIdManager class. That class should generate jobIds for all your app's jobs: whether those jobs have to do with Channels, Users, or Cats and Dogs. The sample JobIdManager class points this out: not all JOB_TYPEs have to do with Channel operations. One job type has to do with user prefs and one with user behavior. The JobIdManager accounts for them all by assigning a different prefix to each job type. Third insight: for each -JobService in your app, you must have a unique and final JOB_TYPE_ prefix. Again, this must be an exhaustive one-to-one relationship. The following code snippet from ChannelProgramsJobService demonstrates how to use a JobIdManager in your project. Whenever you need to schedule a new job, you generate the jobId using JobIdManager.getJobId(...). //todo what? log to server as analytics maybe? Why use shortcuts and widgets? 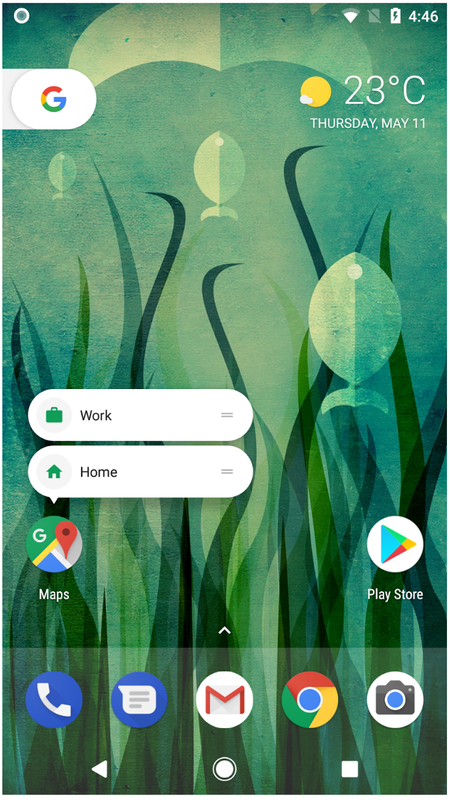 One of our favorite features in Android O is the ability to pin shortcuts and widgets for your app onto the launcher through deep linking. Shortcuts let users quickly start a specific task, while widgets give users instant access to specific actions and information from your app. Users want to get things done, and get things done fast - shortcuts and widgets are a way to help them and to increase user engagement with your content. To pin a shortcut or widget, users long press your app's icon for options and drag and drop the selected item to a location of their choice. The API has a new flow for adding shortcuts and widgets from within your app. The new method uses a modal dialog, deprecating the old method of using a broadcast, which will not work on O devices. That's not all. We've made improvements to the user interface and experience. In the old experience, there was no app icon on the shortcut, so users had no idea which app the shortcut was from. Marking shortcuts with the app icon provides better branding while protecting users from potential malware. There is also a new option to add a specialized activity to help users create shortcuts. The activity is complete with custom options and confirmation. With these new additions and improvements, users will be more likely to use your shortcuts and widgets, leading to more meaningful and impactful engagement with your app and happier, more productive users. To learn more, head over to the shortcuts and widgets page on the Android Developers website. Developer Preview 4 now available, official Android O coming soon! As we put the finishing touches on the Android O platform, today we're rolling out Developer Preview 4 to help you make sure your apps are ready. This is the final preview before we launch the official Android O platform to consumers later this summer. Take this opportunity to wrap up your testing and publish your updates soon, to give users a smooth transition to Android O. If you have a device that's enrolled in the Android Beta Program, you'll receive an update to Developer Preview 4 in the next few days. If you haven't enrolled your device yet, just visit the Android Beta site to enroll and get the update. Watch for more information on the official Android O release soon! Developer Preview 4 is a release candidate build of Android O that you can use to complete your development and testing in time for the upcoming official release. It includes the final system behaviors, the latest bug fixes and optimizations, and the final APIs (API level 26) already available since Developer Preview 3. We're releasing the Developer Preview 4 device system images today, together with the stable version of the Android 26.0.0 Support Library. Incremental updates to the SDK, tools, and Android Emulator system images are on the way over the next few days. We're also introducing a new version of Android Testing Support Library that includes new features like Android Test Orchestrator, Multiprocess Espresso, and more. Watch for details coming soon. Today's Developer Preview 4 system images give you an excellent way to test your current apps on the near-final version of Android O. By testing now, you can make sure your app offers the experience you want as users start to upgrade to the official Android O platform. Just enroll a supported device in the Android Beta Program to get today's update over-the-air, install your current app from Google Play, and test the user flows. The app should run and look great, and should handle the Android O behavior changes properly -- in particular, pay attention to background location limits, notification channels, and changes in networking, security, and identifiers. Once you've resolved any issues, publish your app updates with the current targeting level, so that they're available as users start to receive Android O. Users running the latest versions of Android are typically among the most active in terms of downloading apps, consuming content, and making purchases. They're also more vocal about support for the latest Android features in their favorite apps. 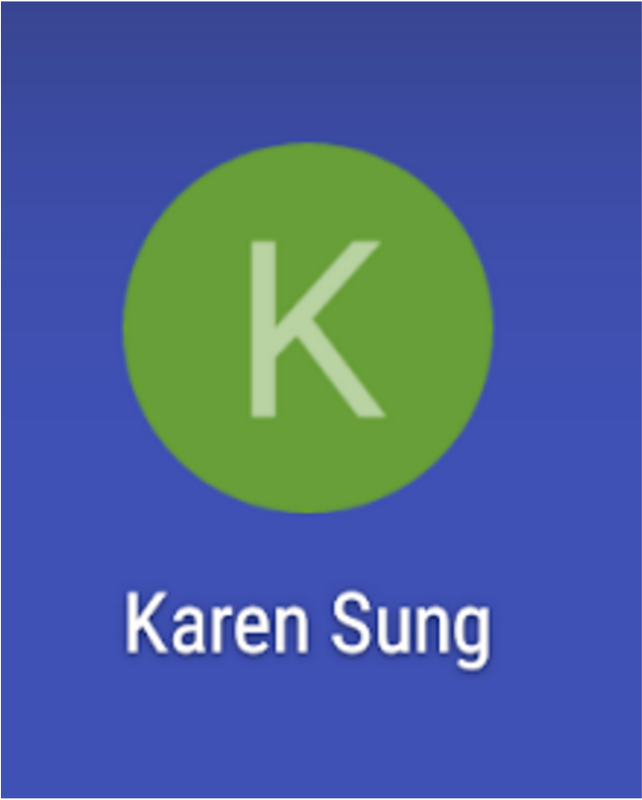 With Android O, users are anticipating features like notification channels and dots, shortcut pinning, picture-in-picture, autofill, and others. These features could also help increase engagement with your app as more users upgrade to Android O over time. With Android O your app can directly pin a specific app shortcut in the launcher to drive engagement. Notification dots keep users active in your app and let them jump directly the app's core functions. Enhancing your apps with Android O features can help you drive engagement with users, offer new interactions, give them more control and security, and improve performance. Features like adaptive icons, downloadable fonts, and autosizing TextView can simplify your development and minimize your APK size. Battery is also a top concern for users, so they'll appreciate your app being optimized for background execution limits and other important changes in vital system behavior for O apps. Visit the O Developer Preview site to learn about all of the new features and APIs and how to build them into your apps. When you're ready to build for Android O, we recommend updating to the latest version of Android Studio 3.0, available for download from the canary channel. Aside from improved app performance profiling tools, support for the Kotlin programming language, and Gradle build optimizations, Android Studio 3.0 makes it easier to develop with Instant Apps, XML Fonts, Downloadable Fonts, and Adaptive Icons. We also recommend updating to the stable version of the Android Support Library 26.0.0, available now from Google's Maven repository, and to the latest SDK, tools, and emulator system images, available over the next few days. You can update your project's compileSdkVersion to API 26 to compile against the official Android O APIs. We also recommend updating your app's targetSdkVersion to API 26 to opt-in and test your app with Android O specific behavior changes. See the migration guide for details on how to setup your environment to build with Android O. Make sure that your updated app runs well on Android O as well as older versions. We recommend using Google Play's beta testing feature to get early feedback from a small group of users. Then do a staged rollout. We're looking forward to seeing your app updates! It's simple to get Developer Preview 4 if you haven't already! Just visit android.com/beta and opt-in your eligible phone or tablet. As always, you can also download and flash this update manually. The O Developer Preview is available for Pixel, Pixel XL, Pixel C, Nexus 5X, Nexus 6P, Nexus Player, and the Android Emulator. Enrolled devices will automatically update when we release the official version of Android O. Thanks for all of your input throughout the preview. Continue to share your feedback and requests, we love it! Android O APIs are final, get your apps ready! Three weeks ago at Google I/O, we announced the second developer preview of Android O along with key themes, Fluid Experiences and Vitals, and highlighted our work towards a modular base with Project Treble. It was also an important milestone for us with the release of the first beta-quality candidate. We talked a lot about what's new in Android during the keynote and breakout sessions—if you missed the livestream, be sure to check out the full archive of talks here. Today we're rolling out Developer Preview 3 with the final Android O APIs, the latest system images, and an update to Android Studio to help you get ready for the consumer release later in the summer. Watch for one more preview update coming in July that will bring you the near-final system images. If you've already enrolled your device in the Android Beta Program, you'll receive an update to Developer Preview 3 shortly. With the consumer launch approaching in the coming months, a critical first step is making your current app compatible with Android O. This will give your users a seamless transition to the new platform as it arrives on their devices. If you haven't tested your app for compatibility yet, getting started is straightforward -- just enroll a supported device in Android Beta and get the latest update over-the-air, then install your current app from Google Play and test. The app should run and look great, and it should handle the Android O behavior changes properly -- in particular pay attention to background limits and changes in networking, security, and identifiers. After you've made any necessary updates, we recommend publishing the compatible version of your app to Google Play right away -- without changing the app's platform targeting. Extending your apps with Android O features can help you drive more engagement, offer new interactions, give users more control and security, and even improve your app's performance. Notification channels and dots give you more ways to surface new content to users and bring them back into your app. Picture-in-picture keeps your app onscreen while users are multitasking, and autofill makes it simple for them to enter forms data and helps keep their data secure. Also check out adaptive icons, XML font resources, downloadable fonts and emoji, autosizing TextView, AAudio API, and many others. You'll also want plan your support for background execution limits and other important changes in vital system behavior for O apps. Picture-in-Picture mode lets you keep users engaged while they are multitasking (left). Notification dots keep users active in your app and let them jump directly the app’s core functions (right). Today's preview update includes the latest version of the Android O platform with the final API level 26 and hundreds of bugfixes and optimizations. You can download the final API 26 SDK from the SDK Manager in Android Studio, and Android Support Library 26.0.0 beta 2 from Google's Maven repository. Together, these give you everything you need to develop and test your apps with the official Android O APIs. Once you've installed the final SDK, you can update your project's compileSdkVersion to API 26 to compile against the official Android O APIs. We also recommend updating your app's targetSdkVersion to API 26 to opt-in and test your app with Android O specific behavior changes. See the migration guide for details on how to set up your environment to build with Android O.
APIs have changed since the second developer preview, so if you have existing code using Android O preview APIs, take a look at the diff report to see where your code might be affected. If you're developing for Android O, we recommend updating to the latest version of Android Studio 3.0, now available in the canary channel. Aside from great new features like improved app performance profiling tools, support for the Kotlin programming language, and Gradle build optimizations, Android Studio 3.0 includes build support for Instant Apps, an Adaptive Icon Wizard, and support for XML Fonts, and Downloadable Fonts. Android Studio 3.0 includes tools for developing with Android O features lets you preview XML font resources in your app. If you don't plan to use those features, you now have the option of developing for Android O using Android Studio 2.3.3 from the stable channel. Note that the tools for working with adaptive icons and downloadable fonts, and XML fonts are not available in Android Studio 2.3.3. Now that the APIs are final, you can publish APK updates compiling with, and optionally targeting, API 26 to your alpha, beta, or even production channels in Google Play. Publishing your O-targeted app during the preview lets you test compatibility on existing devices and push updates to devices running API 26 -- such as users who are enrolled in the Android Beta program. To make sure that your updated app runs well on Android O as well as older versions, a common strategy is to use Google Play's beta testing feature to get early feedback from a small group of users -- including developer preview users — and then do a staged rollout as you release the updated app to all users. Through the Android Beta program, developers and early adopters worldwide will soon be getting Developer Preview 3 on their devices. If you aren't yet enrolled, just visit android.com/beta and opt-in your eligible Android phone or tablet. As always, you can also download and flash this update manually. 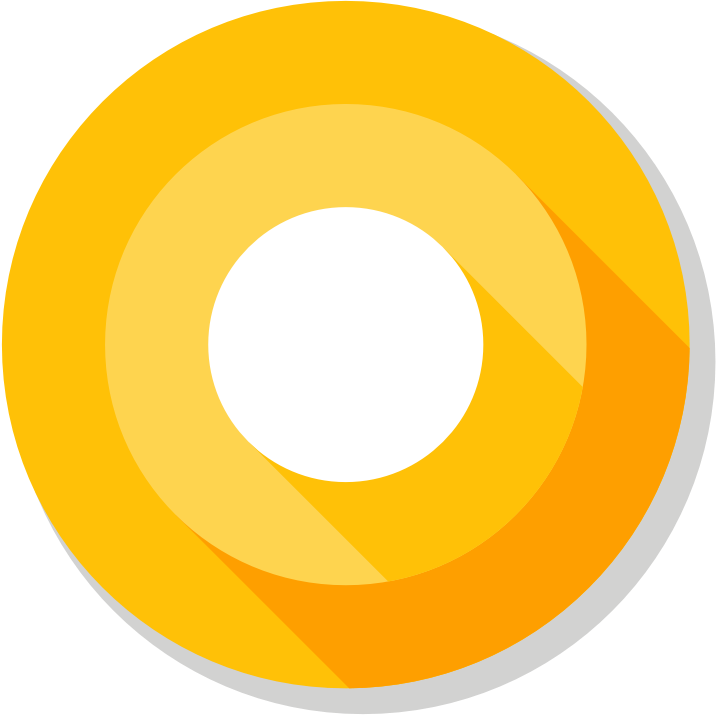 The O Developer Preview is available for Pixel, Pixel XL, Pixel C, Nexus 5X, Nexus 6P, and Nexus Player. Thanks so much for all of your feedback so far. Please continue to share feedback or requests as we work towards the consumer release later this summer. We're looking forward to seeing your apps on Android O! With billions of Android devices around the world, Android has surpassed our wildest expectations. Today at Google I/O, we showcased a number of ways we’re pushing Android forward, with the O Release, new tools for developers to help create more performant apps, and an early preview of a project we call Android Go -- a new experience that we’re building for entry-level devices. Picture-in-picture: lets users manage two tasks simultaneously, whether it’s video calling your friend while checking your calendar, or reading a new recipe while watching a video on a specific cooking technique. We’ve designed PIP to provide seamless multitasking on any size screen, and it’s easy for apps to support it. Notification dots extend the reach of notifications, a new way for developers to surface activity in their app, driving engagement. 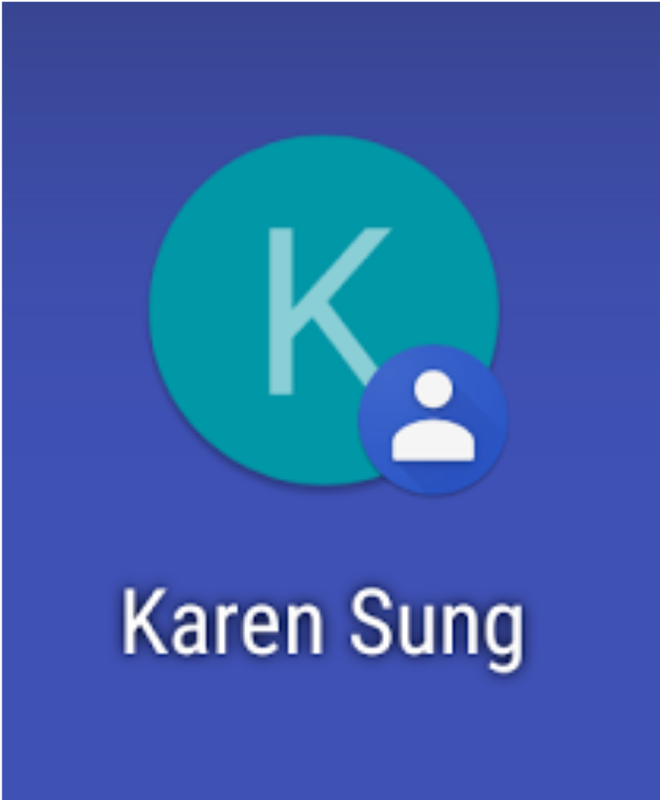 Built on our unique and highly regarded notification system, dots work with zero effort for most apps - we even extract the color of the dot from your icon. Autofill with Google simplifies setting up a new device and synchronizing passwords by bringing Chrome's Autofill feature to Android. Once a user opts-in, Autofill will work out-of-the-box for most apps. Developers can optimize their apps for Autofill by providing hints about the type of data expected or add support in custom views. A new homescreen for Android TV makes it easy for users to find, preview, and watch content provided by apps. Apps can publish one or more channels, and users can control the channels that appear on the homescreen. You’ll be able to get started with creating channels using the new TvProvider support library APIs. 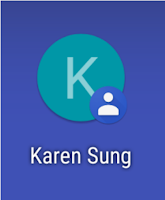 Smart Text Selection: In Android O, we’re applying on-device machine learning to copy/paste, to let Android recognize entities like addresses, URLs, telephone numbers, and email addresses. This makes the copy/paste experience better by selecting the entire entity and surfacing the right apps to carry out an action based on the type of entity. TensorFlow Lite: As Android continues to take advantage of machine learning to improve the user experience, we want our developer partners to be able to do the same. Today we shared an early look at TensorFlow Lite, an upcoming project based on TensorFlow, Google’s open source machine learning library. TensorFlow Lite is specifically designed to be fast and lightweight for embedded use cases. Since many on-device scenarios require real-time performance, we’re also working on a new Neural Network API that TensorFlow can take advantage of to accelerate computation. We plan to make both of these available to developers in a maintenance update to O later this year, so stay tuned! System optimizations: in Android O, we’ve done a lot of work across the system to make apps run faster and smoother. For example we made extensive changes in our runtime - including new optimizations like concurrent compacting garbage collection, code locality, and more. Background limits: up to now it’s been fairly easy for apps to unintentionally overuse resources while they’re in the background, and this can adversely affect the performance of the system. So in O, we've introduced new limits on background location and wi-fi scans, and changes in the way apps run in the background. These boundaries prevent overuse -- they’re about increasing battery life and freeing up memory. New Android Vitals Dashboards in the Play Console: today we launched six Play Console dashboards to help you pinpoint common issues in your apps - excessive crash rate, ANR rate, frozen frames, slow rendering, excessive wakeups, and stuck wake locks, including how many users are affected, with guidance on the best way to address the issues. You can visit the Play Console today to see your app's data, then learn how to address any issues. Apps: We’re also designing Google apps to use less memory, storage space, and mobile data, including apps such as YouTube Go, Chrome, and Gboard. Play: On entry-level devices, Play store will promote a better user experience by highlighting apps that are specifically designed for these devices -- such as apps that use less memory, storage space, and mobile data -- while still giving users access to the entire app catalog. The Android Go experience will ship in 2018 for all Android devices that have 1GB or less of memory. We recommend getting your apps ready for these devices soon -- take a look at the Building for Billions to learn about the importance of offering a useful offline state, reducing APK size, and minimizing battery and memory use. Today’s release of O Developer Preview 2 is our first beta-quality candidate, available to test on your primary phone or tablet. We’re inviting those who want to try the beta release of Android O to enroll now at android.com/beta -- it’s an incredibly convenient way to preview Android O on your Nexus 5X, 6P, and Player, as well as Pixel, Pixel XL, or Pixel C device. With more users starting to get Android O on their devices through the Android Beta program, now is the time to test your apps for compatibility, resolve any issues, and publish an update as soon as possible. See the migration guide for steps and a recommended timeline. Later today you’ll be able to download the updated tools for developing on Android O, including the latest canaries of Android Studio, SDK, and tools, Android O system images, and emulators. Along with those, you’ll be able to download support library 26.0.0 beta and other libraries from our new Maven repo. The change to Maven from SDK Manager means a slight change to your build configuration, but gives you much more flexibility in how you integrate library updates with your CI systems. When you’re ready to get started developing with Android O, visit the O Developer Preview site for details on all of the features you can use in your apps, including notification channels and dots, picture-in-picture, autofill, and others. APIs have changed since the first developer preview, so take a look at the diff report to see where your code might be affected. Thanks for the feedback you’ve given us so far. Please keep it coming, about Android O features, APIs, issues, or requests -- see the Feedback and Bugs page for details on where to report feedback. On the Android team, we view each dessert release as an opportunity to make Android better for our users and our ecosystem partners. One thing we've consistently heard from our device-maker partners is that updating existing devices to a new version of Android is incredibly time consuming and costly. With Android O, we've been working very closely with device makers and silicon manufacturers to take steps toward solving this problem, and we're excited to give you a sneak peek at Project Treble, the biggest change to the low-level system architecture of Android to date. The Android team publishes the open-source code for the latest release to the world. Silicon manufacturers, the companies that make the chips that power Android devices, modify the new release for their specific hardware. Silicon manufacturers pass the modified new release to device makers — the companies that design and manufacture Android devices. Device makers modify the new release again as needed for their devices. Device makers work with carriers to test and certify the new release. Device makers and carriers make the new release available to users. 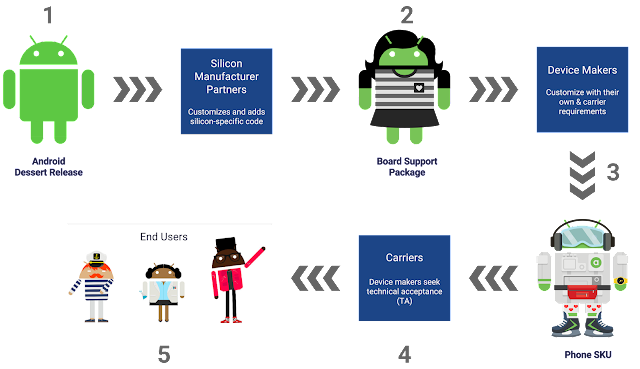 With Project Treble, we're re-architecting Android to make it easier, faster and less costly for manufacturers to update devices to a new version of Android. Android was unveiled in 2007 as a free, open-source mobile operating system. From the beginning, we intended Android to be scaled across a variety of manufacturers. We knew that consistency of API was important for developers, so we created a compatibility program for the Developer API specified by the Compatibility Definition Document (CDD) and its associated Compatibility Test Suite (CTS), now comprising over a million tests. The result today is that app developers can write a single app that works across over a billion devices running on different hardware from different manufacturers. Project Treble aims to do what CTS did for apps, for the Android OS framework. 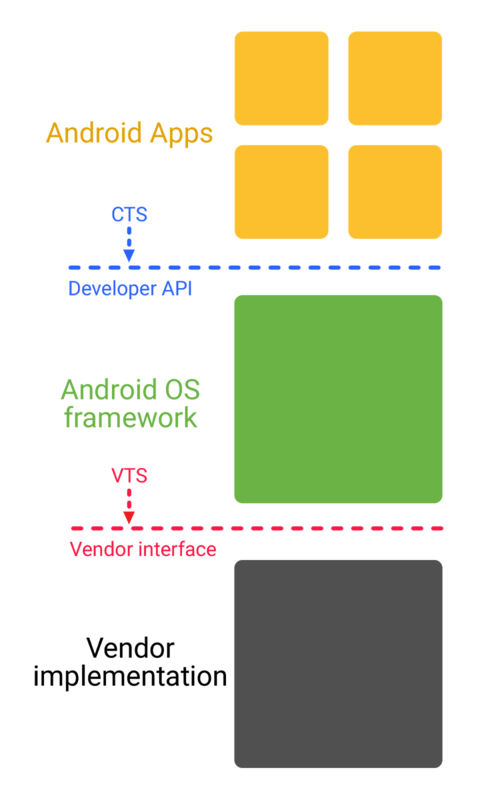 The core concept is to separate the vendor implementation — the device-specific, lower-level software written in large part by the silicon manufacturers — from the Android OS Framework. This is achieved by the introduction of a new vendor interface between the Android OS framework and the vendor implementation. The new vendor interface is validated by a Vendor Test Suite (VTS), analogous to the CTS, to ensure forward compatibility of the vendor implementation. Project Treble will be coming to all new devices launched with Android O and beyond. In fact, the new Project Treble architecture is already running on the Developer Preview of O for Pixel phones. In addition to the architectural changes, we're working with our silicon and device partners to take their code changes, such as features for a carrier network in a specific country, and move them into the common Android Open Source Project (AOSP) codebase. For example, Sony and Qualcomm contributed dozens of features and hundreds of bugfixes to Android O so they no longer need to rework these patches with each new release of Android. We plan to publish the full documentation for Project Treble on source.android.com with the launch of O later this summer. In O, Android ID (Settings.Secure.ANDROID_ID or SSAID) has a different value for each app and each user on the device. Developers requiring a device-scoped identifier, should instead use a resettable identifier, such as Advertising ID, giving users more control. Advertising ID also provides a user-facing setting to limit ad tracking. The ANDROID_ID value won't change on package uninstall/reinstall, as long as the package name and signing key are the same. Apps can rely on this value to maintain state across reinstalls. 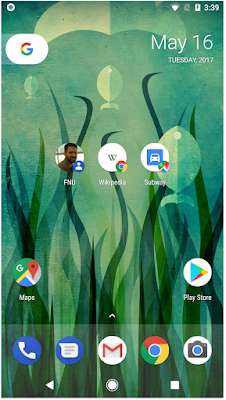 If an app was installed on a device running an earlier version of Android, the Android ID remains the same when the device is updated to Android O, unless the app is uninstalled and reinstalled. The Android ID value only changes if the device is factory reset or if the signing key rotates between uninstall and reinstall events. This change is only required for device manufacturers shipping with Google Play services and Advertising ID. Other device manufacturers may provide an alternative resettable ID or continue to provide ANDROID ID. To be consistent with runtime permissions required for access to IMEI, use of android.os.Build.SERIAL is deprecated for apps that target Android O or newer. Instead, they can use a new Android O API, Build.getSerial(), which returns the actual serial number, as long as the caller holds the PHONE permission. In a future version of Android, apps targeting Android O will see Build.SERIAL as "UNKNOWN". To avoid breaking legacy app functionality, apps targeting prior versions of Android will continue see the device's serial number, as before. Net.Hostname provides the network hostname of the device. In previous versions of Android, the default value of the network hostname and the value of the DHCP hostname option contained Settings.Secure.ANDROID_ID. In Android O, net.hostname is empty and the DHCP client no longer sends a hostname, following IETF RFC 7844 (anonymity profile). For new devices shipping with O, the Widevine Client ID returns a different value for each app package name and web origin (for web browser apps). Settings.Secure.bluetooth_address: Device Bluetooth MAC address. In O, this is only available to apps holding the LOCAL_MAC_ADDRESS permission. We collaborated with security researchers1 to design robust MAC address randomization for Wi-Fi scan traffic produced by the chipset firmware in Google Pixel and Nexus 5X devices. The Android Connectivity team then worked with manufacturers to update the Wi-Fi chipset firmware used by these devices. Android O integrates these firmware changes into the Android Wi-Fi stack, so that devices using these chipsets with updated firmware and running Android O or above can take advantage of them. For each Wi-Fi scan while it is disconnected from an access point, the phone uses a new random MAC address (whether or not the device is in standby). The initial packet sequence number for each scan is also randomized. Unnecessary Probe Request Information Elements have been removed: Information Elements are limited to the SSID and DS parameter sets. In Android O and above, the GET_ACCOUNTS permission is no longer sufficient to gain access to the list of accounts registered on the device. Applications must use an API provided by the app managing the specific account type or the user must grant permission to access the account via an account chooser activity. 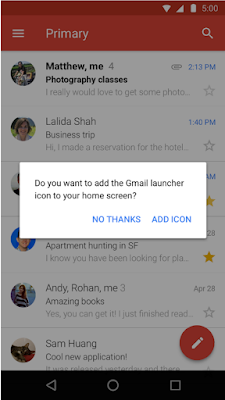 For example, Gmail can access Google accounts registered on the device because Google owns the Gmail application, but the user would need to grant Gmail access to information about other accounts registered on the device. 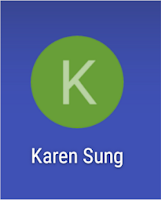 Apps targeting Android O or later should either use AccountManager#newChooseAccountIntent() or an authenticator-specific method to gain access to an account. Applications with a lower target SDK can still use the current flow. In Android O, apps can also use the AccountManager.setAccountVisibility()/ getVisibility() methods to manage visibility policies of accounts owned by those apps. In addition, the LOGIN_ACCOUNTS_CHANGED_ACTION broadcast is deprecated, but still works in Android O. Applications should use addOnAccountsUpdatedListener() to get updates about accounts at runtime for a list of account types that they specify. Check out Best Practices for Unique Identifiers for more information.